Kentley Hills - The front yard also has an additional water feature! MLS#6843973. McTeam Properties. Highlands Ranch Firelight - Enjoy upcoming warm weather with tranquil views off the deck backing to a professionally maintained greenbelt! MLS#8413495. Your Castle Real Estate Inc.
Highlands Ranch Southridge - Come take a look at this great Highlands Ranch home and let me know if you have any questions. MLS#2977067. BSW Real Estate, LLC. Kentley Hills - New paint in and out, new roof, furnace and AC. MLS#7186946. RE/MAX NORTHWEST INC.
Kentley Hills - Easy Access to I-470, 25, DTC and Park Meadows. MLS#7835025. Keller Williams Executives. Kentley Hills - Affordable Colorado living at it's best. MLS#6989714. BANYAN REAL ESTATE LLC. Kentley Hills - This home is conveniently located near Highlands Ranch Rec Centers, shopping, favorite grocery stores, delicious dining options, Douglas County Schools and so much more. Move right in! ! MLS#3744515. Buy-Out Company Realty, LLC. Highlands Ranch Northridge - This house is a walking distance from Diamond K Park. MLS#8188757. Keller Williams Real Estate LLC. Highlands Ranch Westridge - This home is a must see! MLS#9394087. H & H Family Real Estate. Backcountry Highlands Ranch - There are 2 additional bedrooms upstairs with their own baths & the loft has a private deck. Must see! 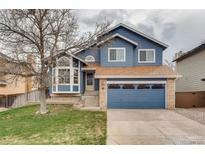 MLS#3718970. Madison & Company Properties. Backcountry Highlands Ranch - Brick accent drive+3 car split garage. MLS#9300128. RE/MAX Professionals. Kentley Hills - The basement is finished with additional unfinished storage space and a half bath. MLS#3712306. Colorado Home Realty. Highlands Ranch Southridge - Very Well Cared For Home By Owners! ! MLS#9993502. Signature Real Estate Corp.. Mansion Pointe - In the last 3 years: New Roof, new carpet/paint, new lighting, new exterior paint & more. MLS#9269321. RE/MAX Professionals. Spaces - Allowing for enjoyment & relaxing inside or out, in addition to close proximity to the trails, pools, schools & shopping. MLS#4371668. Keller Williams Realty LLC. Westridge - Exit your walkout basement to enjoy your peaceful backyard, which is complete with newer sprinkler system. New roof installed in 2017. MLS#8791840. Your Castle Real Estate Inc.
Kentley Hills - Other bonuses include: Cul-de-sac location, open floor plan, hardwood floors...HURRY! MLS#8056949. RE/MAX Unlimited Inc.
Kentley Hills - Insulation added at roof, crawl space and attic, roof is 6 years old, large deck, excellent condition, great location, walk to school. MLS#6771675. HomeSmart Realty Group of Colorado. Outside you'll find a beautifully manicured lawn with in-ground sprinklers and extensive flagstone patio with gas fire pit out back. MLS#8084985. HomeSmart Cherry Creek. Kentley Hills - Fortunate homeowners will overlook entire community from this marvelous estate. August 2019 delivery! MLS#4865191. Keller Williams Executives. Highlands Ranch Westridge - This Is The Perfect Home For Anyone Who Would Like A Main-floor Bedroom With An Attached Bathroom! MLS#9234244. Brokers Guild-Cherry Creek Ltd..